NPS is calculated based on responses to a single question:How likely is it that you would recommend our company/product/service to a friend or colleague? Promoters, (score 9-10) loyal customers who continue to buy and refer others to you. Detractors, (score 0-6) unhappy customers who can damage your brand and growth through negative word-of-mouth. 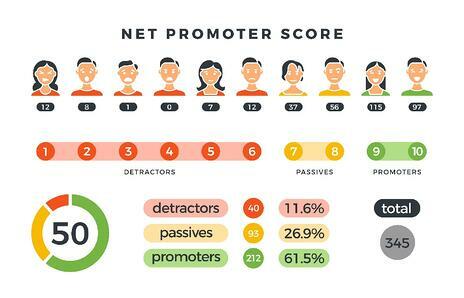 The percentage of detractors was then subtracted from the percentage of promoters and resulted in the NPS score. Migration of Passives and Detractors to Promoter status. Increased and sustained customer loyalty. Increased revenue directly attributable to the MavenTM NPS methodology. Learn about the competitive use of NPS or why you should consider NPS by reading our blog. For your winner’s guide to NPS and revenue growth with MavenTM, contact us here. NPS as a score is just a number, but NPS as a discipline, that regularly manages your customers experience of dealing with your company, now that’s a winning number! Using your NPS data to make powerful predictions about customer behaviour. 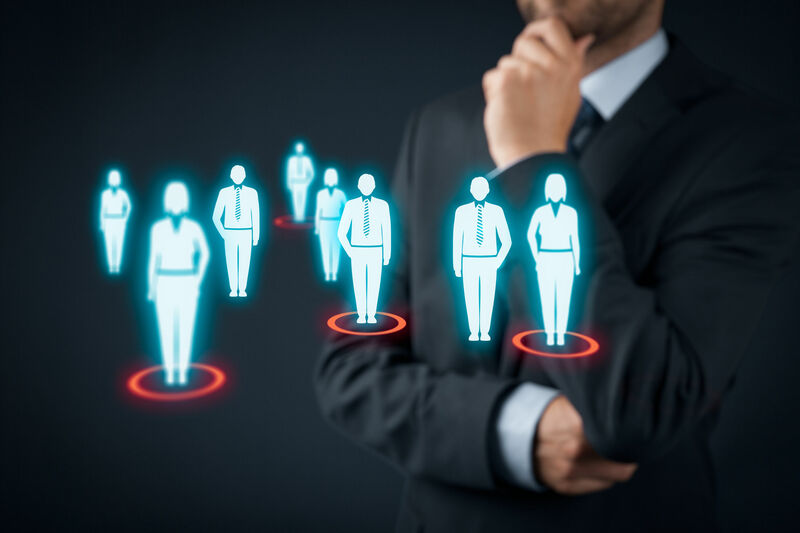 Identifying at-risk customers using churn data and experience data. Reacting to and resolving quickly the complaints of dissatisfied customers. Preventing customer churn by moving detractors up the scale to promoters. Learn about the competitive value of NPS surveys in our blog. 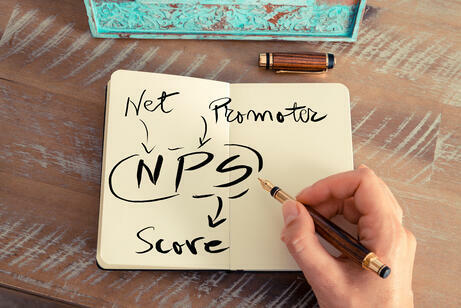 How do you know the NPS score you should be aiming for? Using the MavenTM NPS Methodology you are kept constantly aware of the average NPS score in your industry so that you can benchmark your NPS score with average scores within your industry and against your competitors. So why is industry benchmarking so important? Every industry differs in its average NPS scores for various reasons. For example, department stores tend to make customers a lot happier than banks and consequently department stores typically have a higher NPS than banks. Without the understanding of your industry average NPS score, you are missing out on vital information that can help you to stay ahead of the competition. the industry standard NPS score and that of your competitors, what’s more important is the qualitative feedback that you get from your NPS surveys and of course, what you do with it to make sure you’re improving your customer experience. How you can capitalise on this information and turn it into increased revenue. The most successful NPS methodologies are those that are adopted on a company-wide basis, engaging all employees and fostering a commitment to achieving and sustaining utmost customer loyalty. Adopting the ethos that no matter their role or location, every employee can effectively interact with and take action on customer insights and effect positive change to the customer experience. Embedding NPS into your employees’ daily routines and the tools and processes they already use. Ongoing employee training and skills development in customer experience improvement. Utilising a team problem-solving approach to analyse and address issues uncovered by NPS surveys. Recognition and reward schemes that value and inspire employees to strive for customer service excellence in every instance. For your winner’s guide to using NPS to benchmark yourself against industry competitors with MavenTM, contact us here. CSAT is short for Customer Satisfaction, which is a commonly-used key performance indicator used to track how satisfied customers are with your organization’s products and/or services. The results can be averaged out to give a Composite Customer Satisfaction Score, although CSAT scores are more usually expressed as a percentage scale: 100% being total customer satisfaction, 0% total customer dissatisfaction. CSAT is calculated by taking only the responses of 4 (satisfied) and 5 (very satisfied) responses from the results of a CSAT, combining these and then dividing by the total number of survey responses. The result is the % of satisfied customers arising from the CSAT. The MavenTM CSAT Methodology is the gold standard in understanding your customers needs and pinpointing what it is about your products and/or services that needs to change in order improve and sustain customer satisfaction. For your winner’s guide to using CSAT to track customer satisfaction with your products and/or services with the MavenTM CSAT Methodology contact us here. Wondering what the difference is between CSAT and NPS? CSAT measures customer satisfaction with a product or service, whereas NPS measures customer loyalty to the organization. NPS is therefore a much broader measure of your customer’s loyalty to your company whereas CSAT is much more specific measure of your customer’s satisfaction with regard to your products/services or an interaction a customer had with your company. Wondering whether you should choose CSAT or NPS? contact us here. 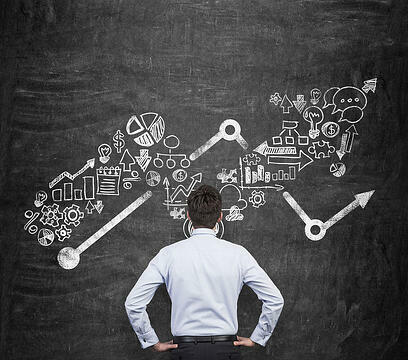 More than ever before, is now a standard to measure whether your company is successful or not. Engaging with your customers demonstrates to them that you value their opinions and goes a long way to building customer loyalty. When your customers aren’t satisfied, you risk losing business to your competitors. Utilising CSAT is great way to ensure that you are consistently delivering excellent customer service and standing out from all of your competitors. CSAT Telemarketing Surveys by Maven TM is the gold standard in CSAT. Creating the CSAT Telemarketing surveys specific to your requirements. Asking the CSAT question in multiple languages via our multicultural team. Collecting CSAT data from a variety of touchpoints. 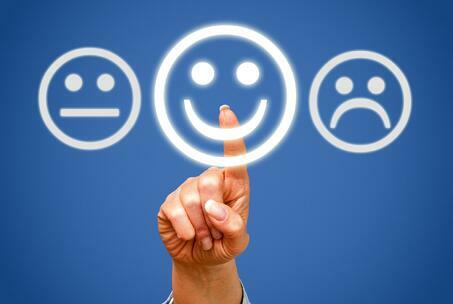 Identifying the key drivers in your customers satisfaction. Pinpointing your unhappy customers and the reason for their discontent such as what went wrong in their experience so that you can act on this information to make positive changes. Collecting actionable customer feedback that you can then utilise to drive improvements to your overall customer experience. Engaging a more personalised approach to interact and communicate with your clients on a regular basis, removing the barriers between businesses and customers and making sure that your customers get the experience they expect. Furnishing you with the information you need to follow up with and fix a problem for your customer and at the same time understand why the problem arose in the first place, which in turn enables you to address this problem before it becomes a reoccurring problem either with this customer or with other customers. Reducing customer churn and thus increasing your revenues. For your winner’s guide to using CSAT with CSAT Telemarketing Surveys by Maven TM contact us here. Measure the quality and effectiveness of your customer service and support representatives with a quick and tailored customer feedback survey. Here at Maven TM, our multilingual team consists of native and fluent language speakers to ensure a consistent campaign across markets – regardless of language. We will help you build relationships with your clients, ensure that your customers have a positive experience every time, and nurture long term loyalty with your business. At Maven TM, we will help you collect and analyse results in order to discover areas that need improvement as well as interesting ideas that you have gathered from your customers. You can now share these insights across the company, set new customer service targets, establish new processes and provide further training where necessary.